In 1950, Pope Pius XII declared a feast celebrating Mary, the Mother of Jesus, as a dogma of the Catholic faith. There are many feasts of Mary and this one was not a new thought; it’s reality had been celebrated by Christians with rituals from as early as the sixth century. The Assumption of the Blessed Virgin Mary into heaven is, ironically, something “assumed” since there is no concrete evidence of the fact that Mary, like Jesus, was taken body and soul into heaven at the time of her death, because of her esteemed role in the birth and life of Jesus in this earthly realm. It is one of those instances that the Church follows the sensus fidelium, a time when “from the bishops to the last of the faithful, they manifest a universal consent in matters of faith and morals.” The Pope was, in a sense, just certifying what people had believed and practiced for centuries. Let us honor her as such and think of her, as today’s gospel tells it, as running to share the news of her pregnancy with her kinswoman, Elizabeth, with all the awe and fear it held for her. Let us see her in the home of Elizabeth, a refuge from her confusion about how her life will unfurl, listening to stories and gathering her courage to return home to face what awaits her. And let us follow that life to the cross and beyond, wondering about her last days and the mix of emotions that must have been hers in those days until she was taken to her true home in peace. May we hold her in our hearts today and celebrate her willingness to be God’s presence in this world. Alphonsus lived from 1696 to 1787 (in itself an extraordinary achievement in his day!) and spent himself in the fight against the moral rigidity of Jansenism. Fr. 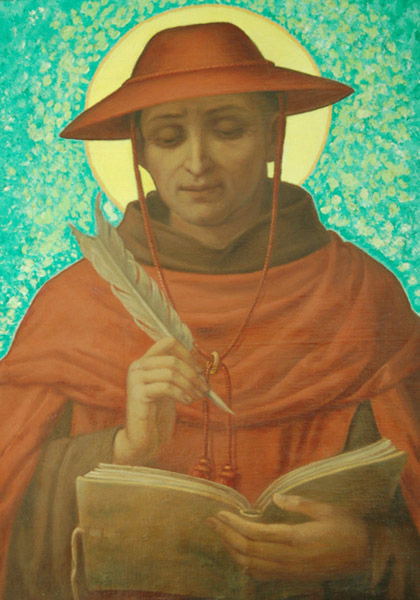 Don Miller (Franciscan Media) begins the biographical sketch of this holy man’s life in a telling paragraph, saying: Moral theology, Vatican II said, should be more thoroughly nourished by Scripture, and show the nobility of the Christian vocation of the faithful and their obligation to bring forth fruit in charity for the life of the world. Alphonsus, declared patron of moral theologians by Pius XII in 1950, would rejoice in that statement. That last statement leads me to a consideration of the word charism (charismata in the plural form of the Latin word) meaning gift. Each religious community is known for some special gift or gifts to the Church and the world. Yesterday we saw that the Jesuits did everything for “the greater glory of God.” How this charism is expressed is many-faceted but can be seen in the world by their efforts toward the imparting of the knowledge and love of God to others, especially in the ministry of education. The Redemptorists, on the other hand, are known for preaching retreats in parishes, speaking to “the common folk,” and for their kindness in hearing confessions of the faithful. I can attest to the efficacy of the Redemptorist charism from my personal experience of my uncle Walter Cavanaugh, CSsR, who served as a missionary to Brazil and started a parish with six congregants in the South of the USA in mid-20th century where there was little Catholic presence. Uncle Walter was best known, however, as were some of his “brothers,” for his kindness in the confessional where he provided solace to people for hours at a time. That these two great religious communities, among others, to be sure, have endured for hundreds of years, is testament to the gifts of God to the collective but also to each of the members who have been called for a specific mission. Might we reflect today on the influence of God’s gifts in our own lives and consider that we, too, have a certain “charism” – a gift to share with the world?Is yours a personality that draws people to your faith? your joy? your hospitality? Are you noted for your generosity? your service? a certain skill? My mother used to show her love for all our extended family by making our birthday cakes – often unique and always delicious. Now my cousin Mary Jane is noted for spectacular creations for every special event. It’s really difficult to talk about God, isn’t it? I’m not saying that for people whose relationship is so intimate that it’s like an invasion of privacy. The name is so sacred to the Jews, for example, that out of reverence they do not even pronounce the divine name. I’m referring to the fact that we know we aren’t talking about a person like any other, but in this day and age we really like definitions. We Christians have a triple difficulty because we celebrate “one God in three persons.” Of course there’s always the issue of political correctness as well, especially it seems, for North Americans so over the last half century we have tried out many alternatives to the trinitarian Father, Son and Holy Spirit, including determination by role, as in Creator, Redeemer, Sanctifier. In progressive or feminist circles, we’ve heard Mother/Father God, and the list goes on with nothing definitive that satisfies everyone – and those for whom Father, Son and Holy Spirit is just fine breathing a sigh of relief. I don’t mean to be facetious or disrespectful here to anyone’s belief. We live in a time where information abounds and culture is evolving at warp speed. There have been many theological treatises written on this very topic and still the reality cannot be contained in language. 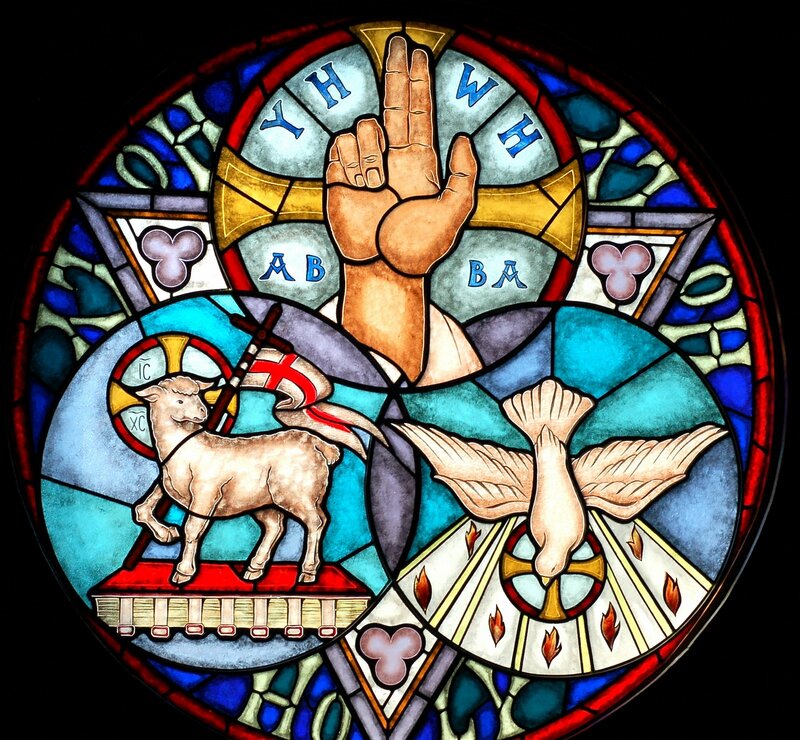 One of the best conversations about the nature of the Trinity, I think, is centered around the fact that, as it says in one of John’s letters, “God is love.” Sounds simple and is most profound. The premise of how this works in the Trinity is called perichoresis, a Greek word that implies a sort of dance. As the Father loves the Son and the love between them is so strong as to be seen as an entity (the Holy Spirit) they are not separate but flow into each other in the manner by which one author explains that “it can be defined as co-indwelling, co-inhering, and mutual interpenetration which allows the individuality of the persons to be maintained, while insisting that each person shares in the life of the other two.” (Alister Mc Grath)This relationship is seen as dynamic, not static, which is why the image is envisioned as circular, a dance of relationship and energy. I love this image because it speaks to the possibility of our ability to replicate this dance of love to some degree in our human life.